BR class 323 EMU. The train consists of 3 permanently coupled motorized cars. Photorealistic driver's stand with speedometer and manometers (pressure gauges). Moving master controller that follows the simulation in BVE. Wikipedia on the class 323 EMU. 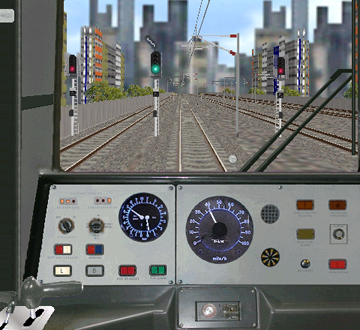 Train class 323 for BVE 2 (works with OpenBVE).